Comfortable room with extended floor-space. The rooms is equipped with 4 bunk beds, TV set, individual lockers for each guest, safes, luggage places, wardrobe, tables, individual lighting, mirrors. The windows open the view on Dolgorukovskaya and Novoslobodskaya streets. 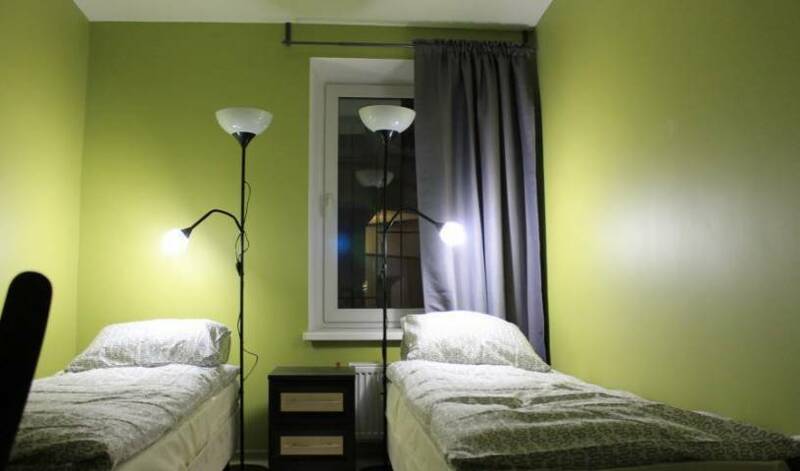 Budget double room with 2 beds (TWIN) and common sanitary facilities on the floor. The following facilities are placed in the room: - 2 single beds; - wardrobe; - safe box for valuables; - writing desk, lamp for work; - bed cabinet; - mirror. A cozy light double room with 2 beds (TWIN) and common sanitary facilities on the floor. The following facilities are placed in the room: - 2 single beds; - wardrobe; - safe box for valuables; - writing desk, lamp for work; - bed cabinet; - mirror. 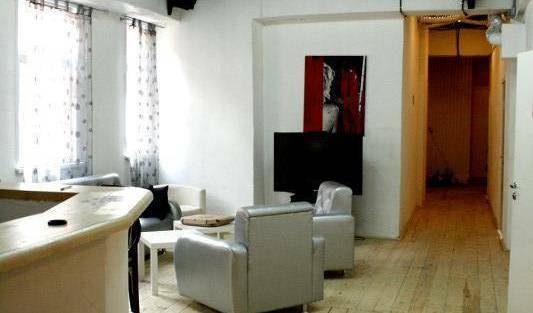 A cozy light double room with 1 bed and common sanitary facilities on the floor. The following facilities are placed in the room: - single bed; - wardrobe; - safe box for valuables; - writing desk, lamp for work; - bed cabinet; - mirror. 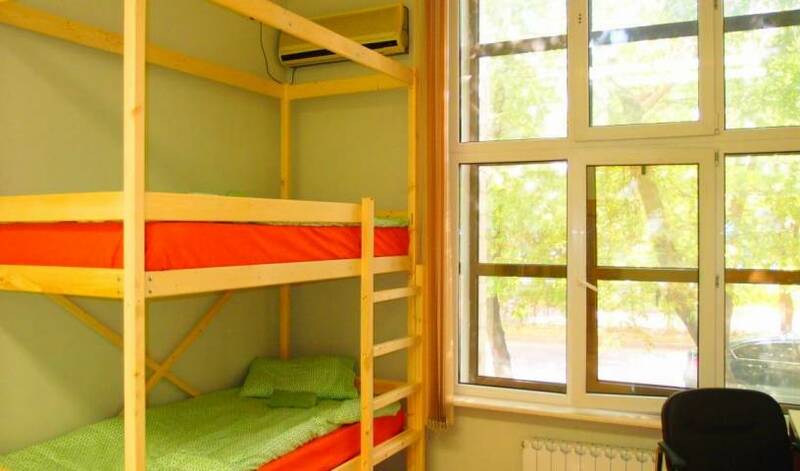 Budget triple room without window and common sanitary facilities on the floor. The following facilities are placed in the room: - 1 bunk bed, single bed; - wardrobe; - safe box for valuables; - writing desk, lamp for work; - bed cabinet; - mirror. 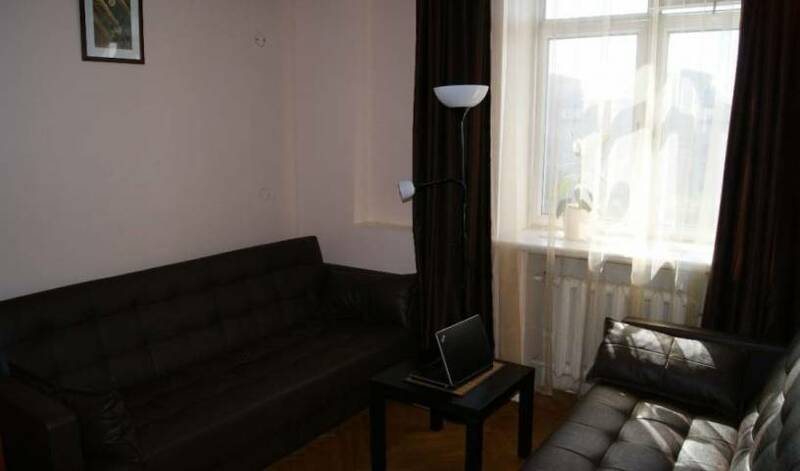 A cozy light single room with 2 windows and common sanitary facilities on the floor. The following facilities are placed in the room: - single bed; - wardrobe; - safe box for valuables; - writing desk, lamp for work; - bed cabinet; - mirror. Хороший уютный номер с 2 раздельными кроватями. 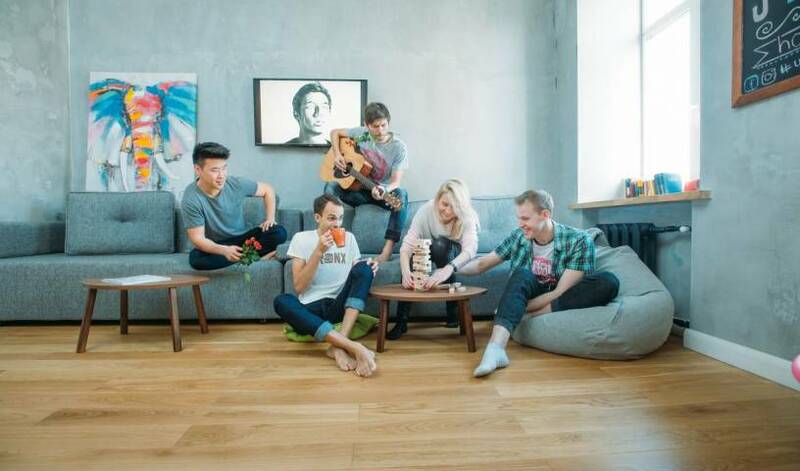 Удобства в номере, телевизор, wifi, и многое другое. Уютно, спокойно и тихо. Номер с одной большой кроватью и одной односпальной для 3 человек. Удобства в номере, телевизор, wifi, и многое другое. 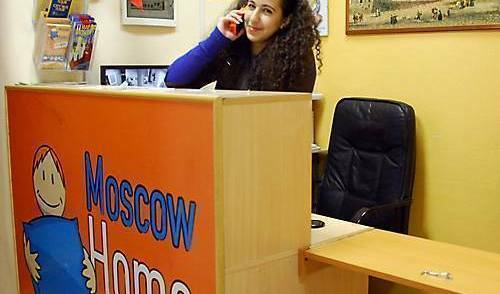 People who need an affordable overnight stay in Moscow are our potential customers. Each sleeping spot equipped with socket, individual lightning and curtain. The room has personal lockers for guests, table and dryer. Each sleeping spot equipped with socket, individual lightning and curtain. Comfortable room with extended floor-space. The rooms is equipped with 4 bunk beds, safes, luggage places, wardrobe, tables, individual lighting, mirrors. The windows open the view on Dolgorukovskaya and Novoslobodskaya streets. Comfortable room with extended floor-space. The rooms is equipped with 3 bunk beds, safes, luggage places, wardrobe, tables, individual lighting, mirrors. The windows open the view on Dolgorukovskaya and Novoslobodskaya streets. The rooms is equipped with 2 bunk beds, safes, luggage places, wardrobe, tables, individual lighting, mirrors. The windows open the view on Dolgorukovskaya and Novoslobodskaya streets. In the room there is TV, 2 or 3 bunk beds, table, lockers, Wi Fi, wardrobe. Шикарные номера в мини гостинице, в тихом, спальном районе Москвы!